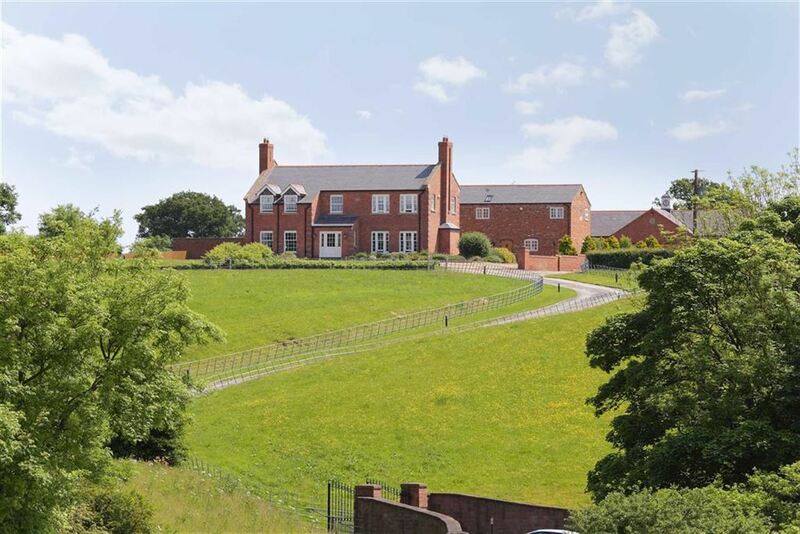 ** APPLICATION RECEIVED ** SIMILAR PROPERTIES REQUIRED **An imposing architect designed country residence of great style standing in a private elevated rural position, set down a private driveway, with a detached quadruple Garage block and landscaped Gardens, Stabling and 5 acres of land. Additional land (approx. 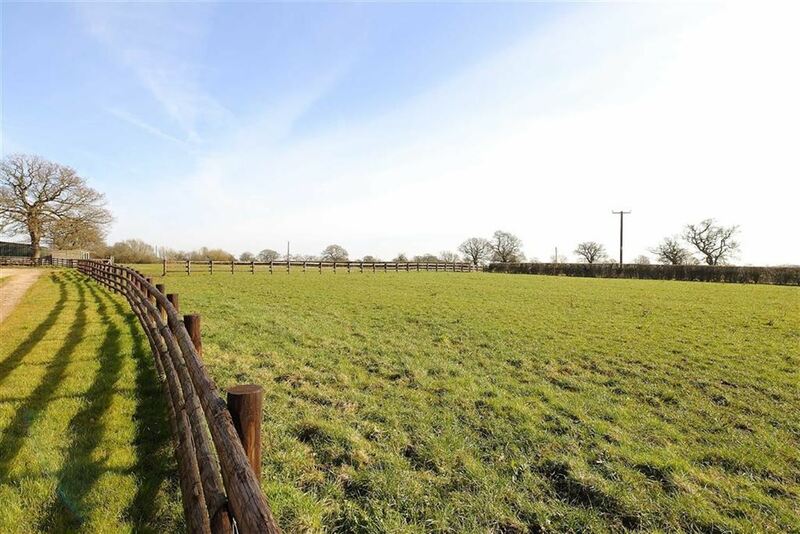 51 acres) is available to let by separate negotiation. 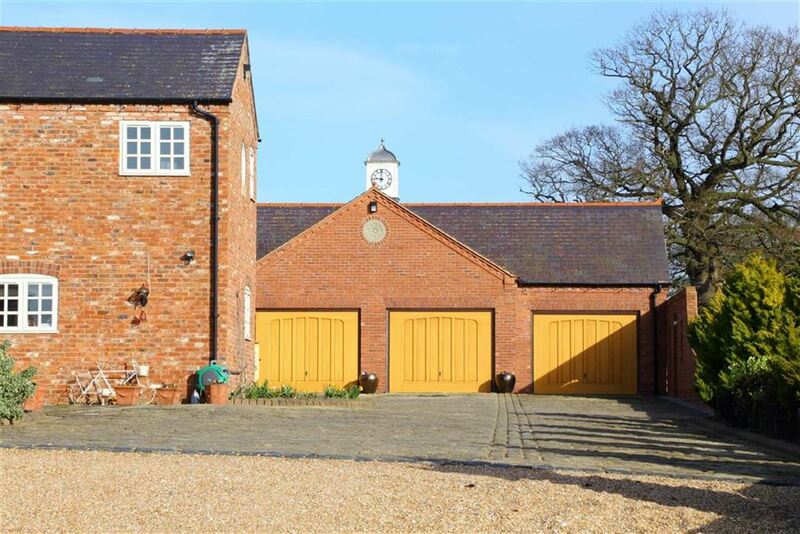 An imposing architect designed country residence of great style standing in a private elevated rural position, set back behind electric gates, with a detached quadruple Garage block and landscaped Gardens, Stabling and approximately 5 acres of grazing. 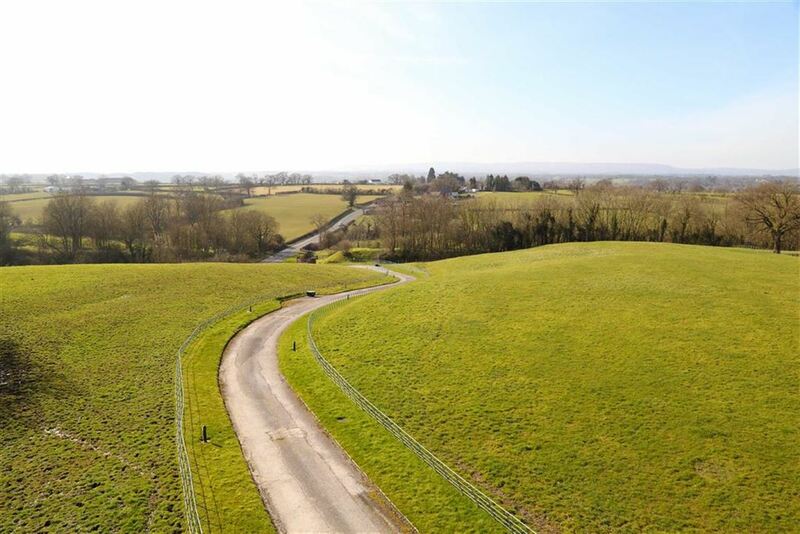 Additional land (approx.51 Acres) is available to let by separate negotiation. The property has been finished to an exacting standard and incorporates an impressive range of the most up-to-date fittings and systems to create a truly luxurious lifestyle. 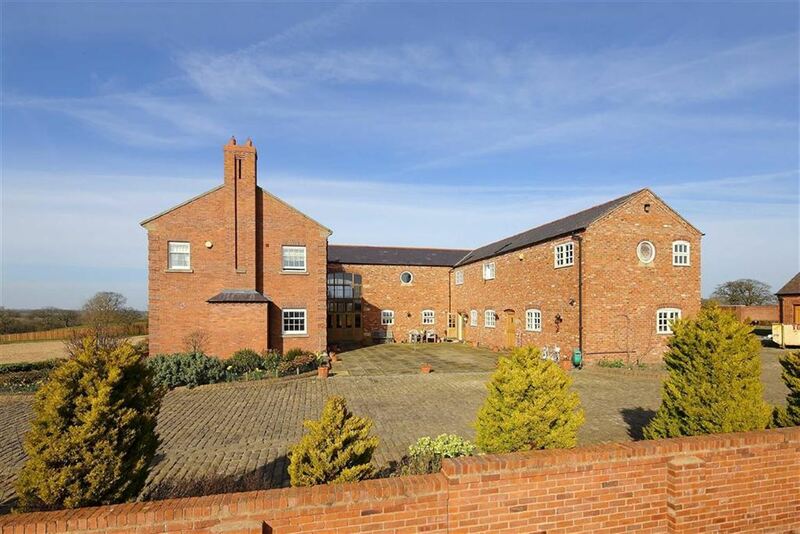 Villa Farm is approached over a sweeping drive flanked open countryside. There is ample parking space in addition to the quadruple garage. The internal accommodation offers well-proportioned living space including two large principal ground floor reception rooms to either side of the Reception Hall with French oak flooring and stone carved/marble feature fireplaces. The Reception Hall leads to the former drift-house, which provides an interesting living area with floor to ceiling feature windows providing superb natural light and linking through to the formal dining room and kitchen beyond. 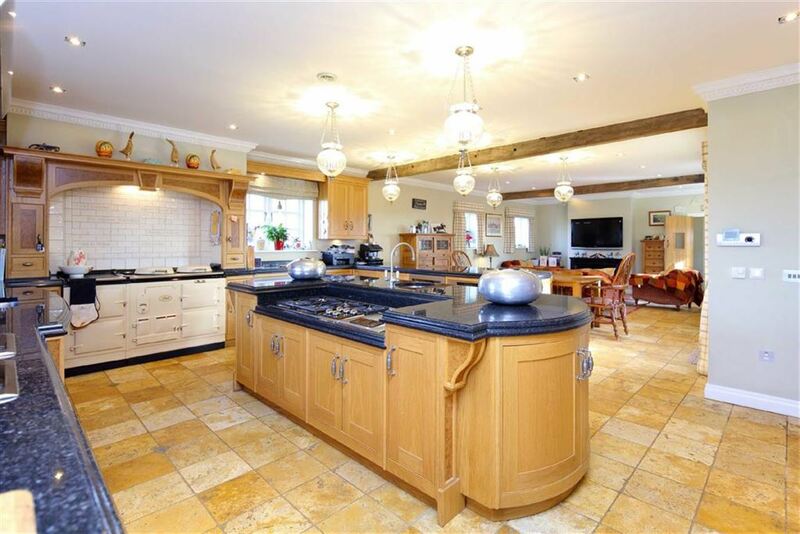 The Kitchen is a major feature of the property and has been comprehensively fitted with solid oak units and granite worktops. It includes a limited edition 4 oven AGA, a Kohler sink unit and taps and an extensive range of Wolf appliances. 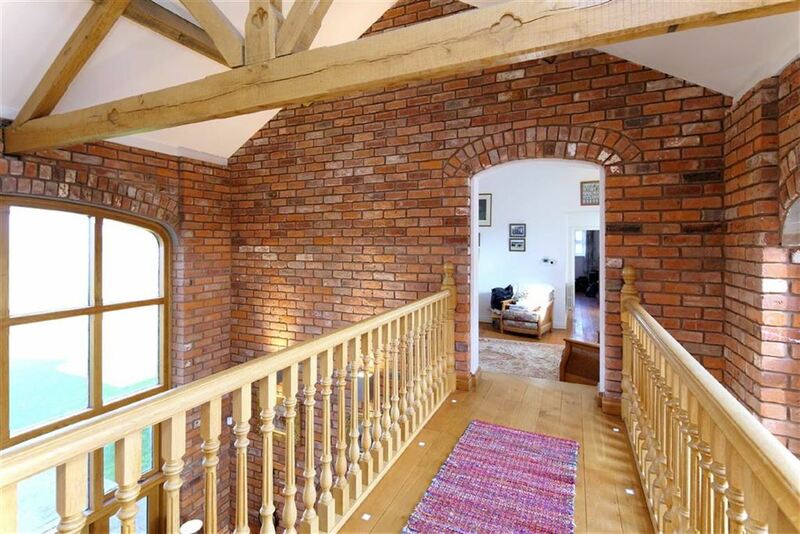 This opens through to an informal dining area and sitting room making a sociable family friendly arrangement. 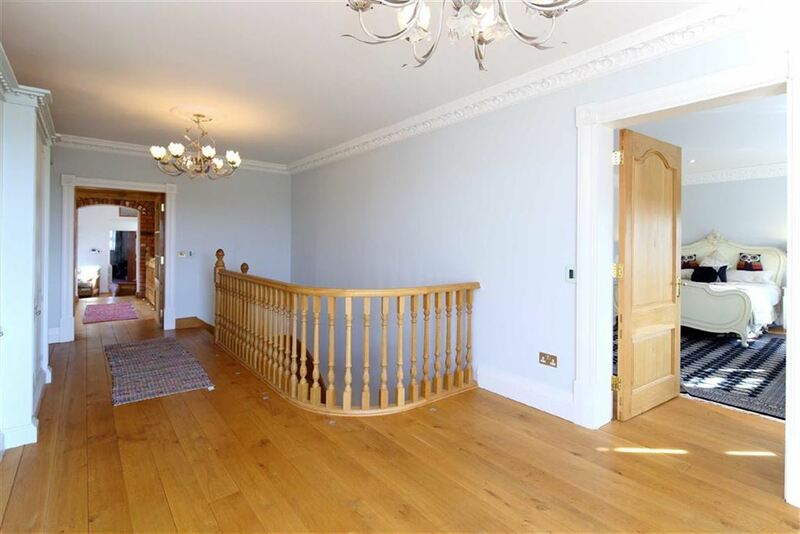 A feature of the first floor is the spacious landing with fitted bespoke fitted Smallbone units, which links to the rear part of the house by a dramatic oak bridge feature with concealed up-lighting. 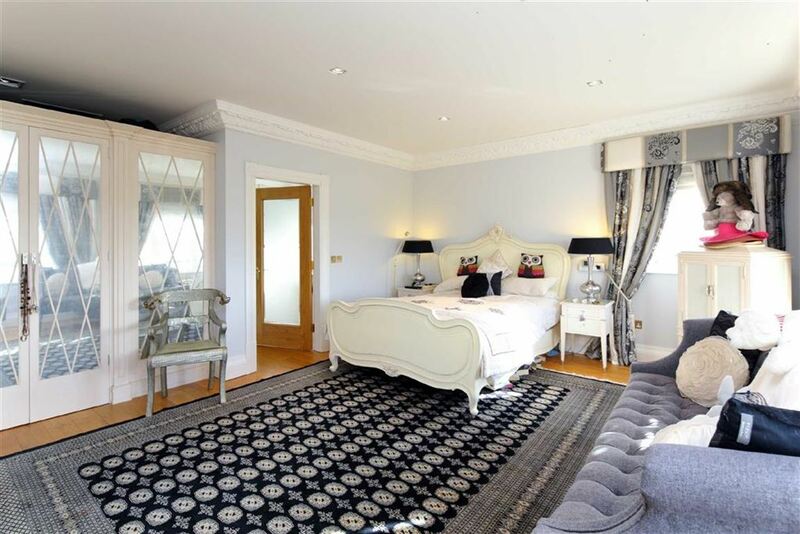 The Master Bedroom Suite has further bespoke Smallbone wardrobes and a luxuriously appointed en-suite Bathroom with a 6 jet Jacuzzi bath and extensive marble work. There are 4 further Bedrooms, three with en-suite facilities and fitted bedroom furniture. 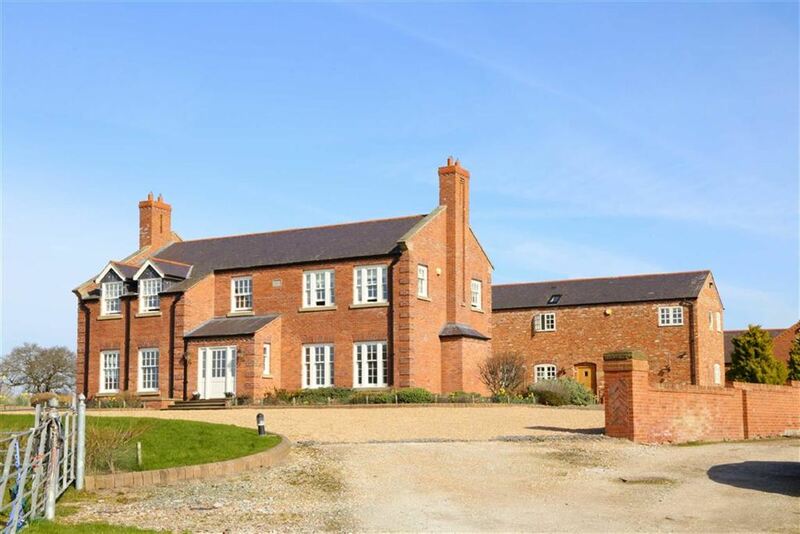 The property has double glazed windows throughout, a twin heating system with underfloor heating and a conventional system with period style cast iron radiators and a state of the art digital lighting system. 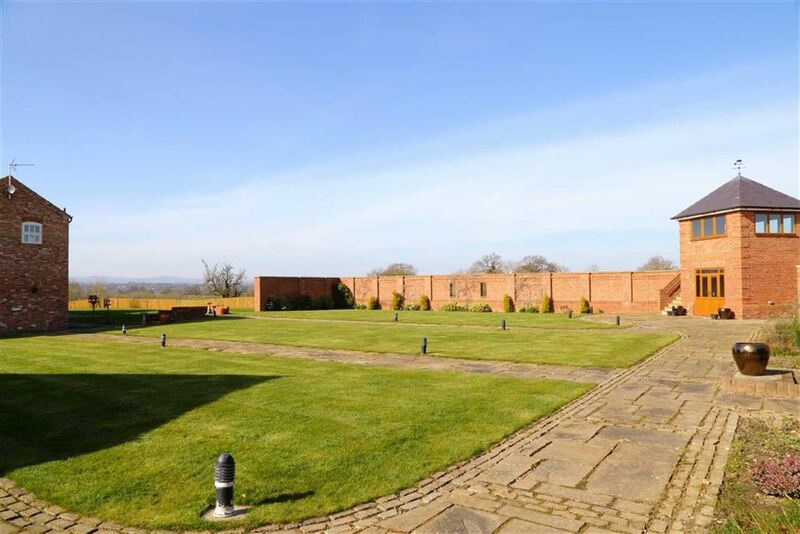 The gardens and grounds are a delightful feature of Villa Farm, providing extensive lawns and paved terraces making a lovely setting for outdoor entertaining etc. 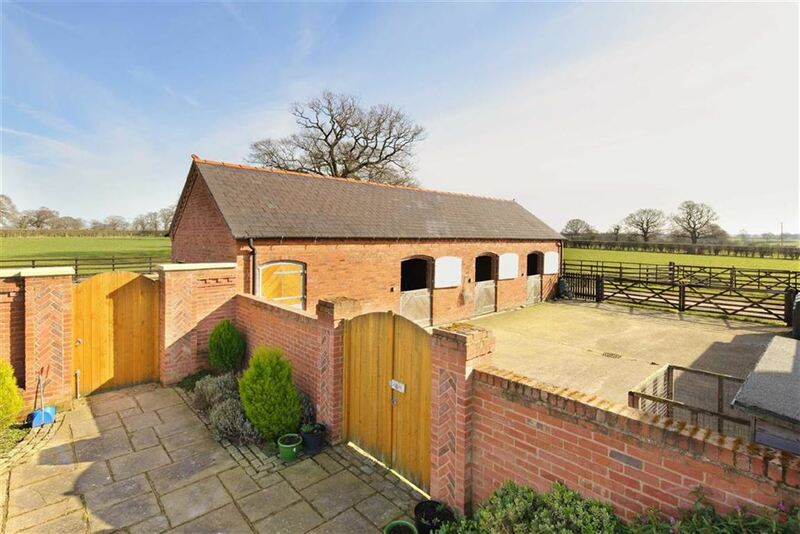 There is a two-storey brick built Folly enjoying magnificent views over unspoilt surrounding countryside and a quadruple Garage block with electrically operated doors. 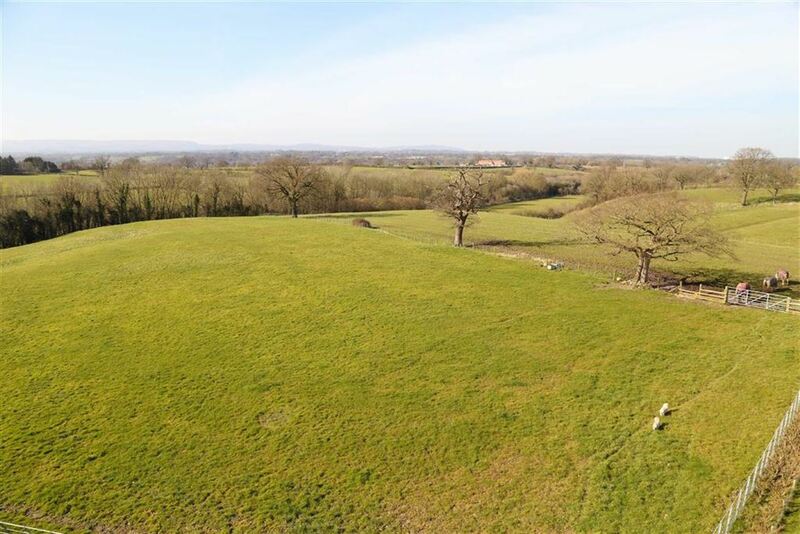 The property extends to approximately 5 acres, or thereabouts, with the option to renting up to 51 acres. 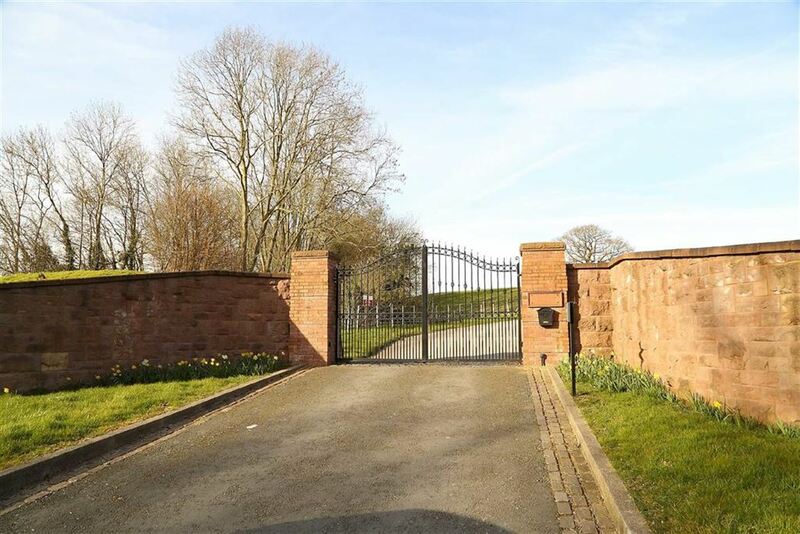 Villa Farm stands in a commanding private location close to the scenic Shropshire/Clwyd borders. The popular nearby village of Bangor-on-Dee, well known for its National Hunt Racecourse, provides useful local amenities for a village of its size including a Post Office/Village Stores, two Public Houses, Hairdressers, Doctor's Surgery, Dentist and Parish Church, and is still within easy motoring distance of the larger centres of Wrexham (6 miles), Ellesmere (7 miles) and Chester (17 miles), all of which, provide a more comprehensive range of local shopping, recreational and educational facilities. 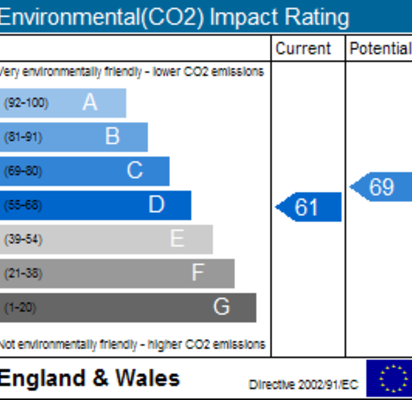 The A483 provides good road links to the north and south and the M53 and M56 motorways provide relatively easy access to Liverpool and Manchester whilst Crewe and Chester stations offer an inter-city rail service to London Euston. 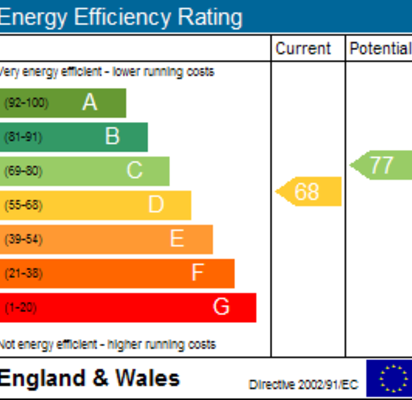 We understand that the property has the benefit of a mains electricity and water supply. Drainage, we understand, is to a private system. 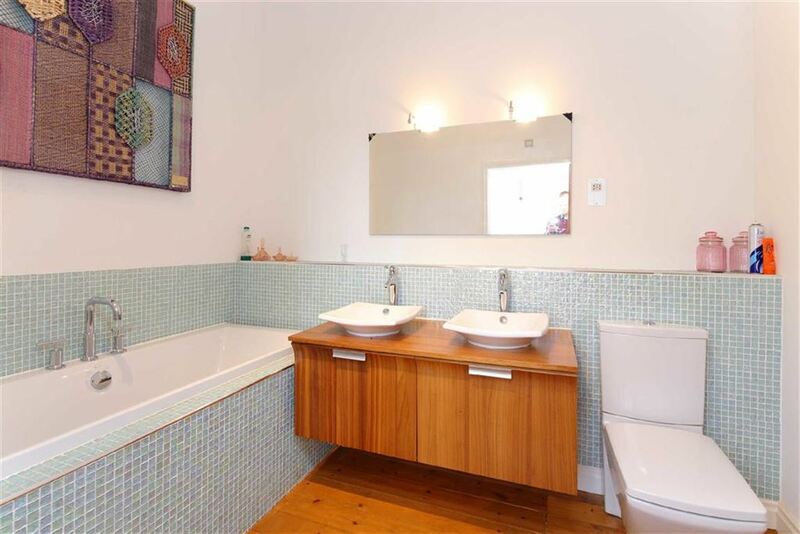 The property has an oil fired central heating system. Wrexham County Borough Council, The Guildhall, Wrexham, LL11 1AY. Tel - 01978 292000. We understand that Villa Farm is in council tax Band 'I'. The property is available on an assured shorthold tenancy agreement for 12 months initially, however, the landlord may be willing to extend the tenancy, if required. Any land that is required will be let on an a annual Grazing Licence. No smokersPets to be declared prior to viewing the property.No DSS. An application fee of £180.00 will be required to cover the cost of references and the production of an assured shorthold tenancy agreement. This fee is non refundable in the event the tenant is not approved for the property or decides not to take up the tenancy. A security deposit of £3,375.00 will be required to be held by the DPS. Ellesmere is a small historic market town in North Shropshire, named after Ellesmere, one of the largest meres outside of the Lake District.